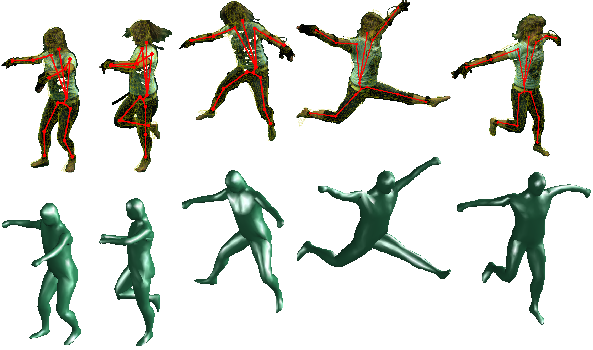 In this paper we present a robust and efficient shape matching approach for Marker-less Motion Capture. Extracted features such as contour, gradient orientations and the turning function of the shape are embedded in a 1-D string. 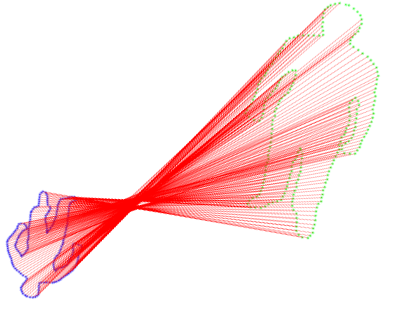 We formulate shape matching as a Linear Assignment Problem and pro- pose to use Dynamic Time Warping on the string representation of shapes to discard unlikely correspondences and thereby to reduce ambiguities and spurious local minima. 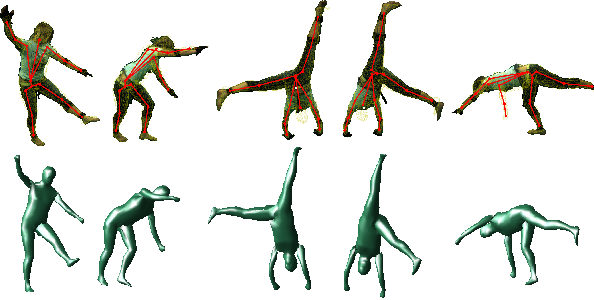 Furthermore, the proposed cost matrix pruning results in robustness to scaling, rotation and topological changes and allows to greatly reduce the computational cost. 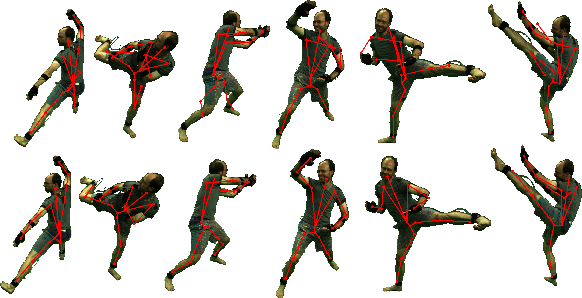 We show that our approach can track fast human motions where standard articulated Iterative Closest Point algorithms fail.